GLYN FREEMAN is a full time, fully qualified fly casting instructor, guide, river keeper and active member of A.A.P.G.A.I (Association of Advanced Professional Game Angling Instructors). Working also with youth and part of the Borderlines team. 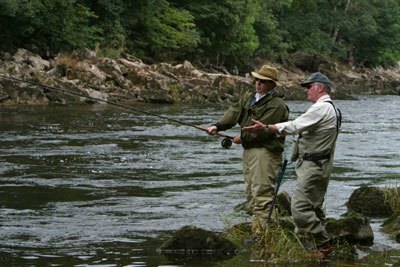 Qualifications include the AAPGAI Masters in Salmon and Trout disciplines and Advanced Fly Dressing. Full liability and indemnity insurance, CRB (criminal records bureau) checked, child protection, L20 assessing, FFF Masters, licensed coach, first aid and a few more. What would a typical day out on the river consist of? The most popular days are the one to one sessions or for two people. 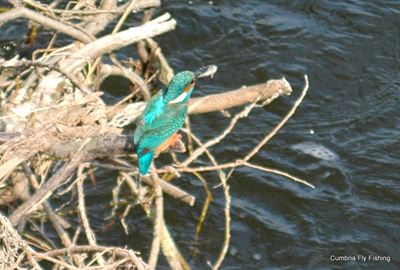 Included in the cost is a fishing permit for one person, (for one extra fishing please add £50). Also included in the cost is the tuition and use of any equipment needed if you do not have any, it is on private water and easily accessed. 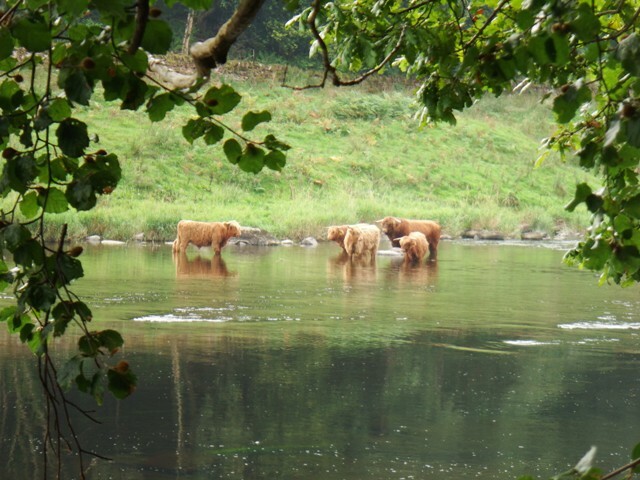 The fishing’s are on the lower and middle river Eden depending on what day of the week it is. 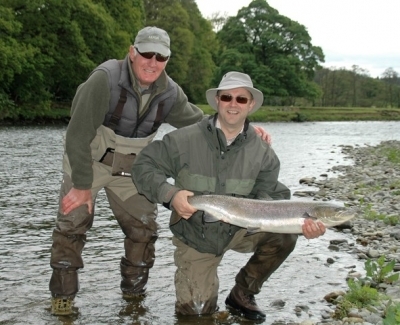 There will be a fair bit of fishing included during your day besides the fly casting and fly fishing tuition. 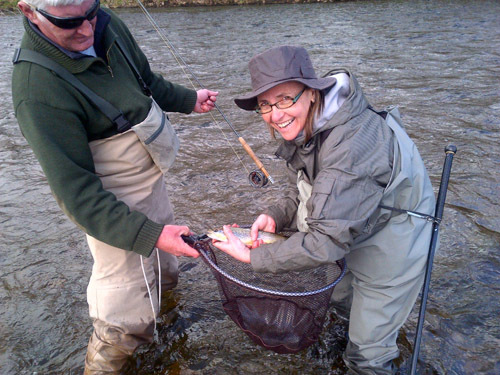 The sessions are tailored to suit whatever your ability, aspirations and requirements may be, whether you are just beginning or have been fishing for a while. 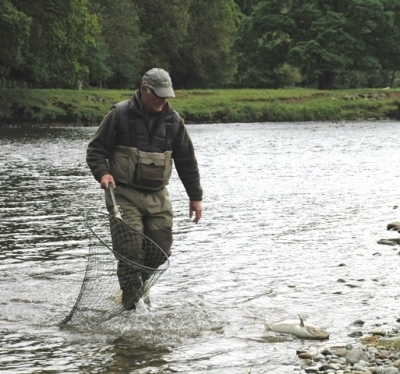 Improving your Spey casting or presenting a dry fly in beautiful surroundings for salmon or trout is a wonderful experience. Days out are done in a relaxed, safe and friendly manner, my aim is for you is to go away competent, happy, with new skills and something special. I can supply free of charge photos of your day out. The experience is run as a half day, a full day or a series of days and I will be in full attendance all the time with you. There is lots to see and enjoy some stunning scenery, please call or email to arrange an outing. You can also purchase a gift voucher for that special person.